These insects were flying around but looked almost like a bit of thin yarn. 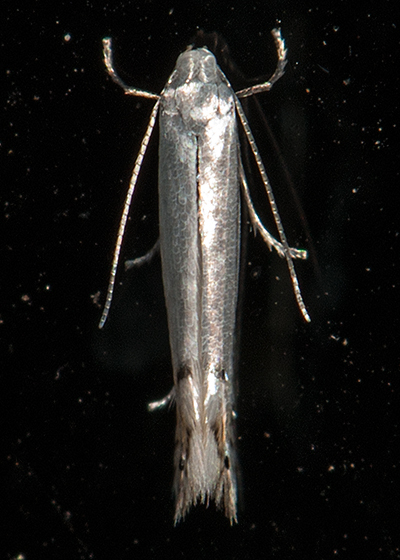 I saw this one land on my vehicle window and only through my camera lens was I able to make out details. In general shape and feel but the markings are not right.